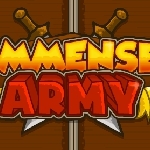 A game based on Team Fortress 2. If you know it, you will understand mechanics of game easily. All you have to do is to get hats. As many hats as possible. Tons of hats. Millions of hats. 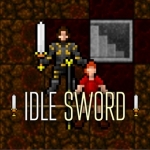 In short, you idle on a server, get weapons, destroy them to get metal, sell metal, get money. You will acquire locked crates. You open them by buying keys. One in a while, you’ll find a precious hat in one of those crates. And you will be happy. Oh, I almost forgot about one fun additional feature: game allows Steam login and comparing results with others. Clicker, IdlerClick to go through every single word in the dictionary. ClickerCooper is a small dog that goes for a walk. 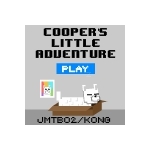 The game follows the player collecting coins with Cooper, then using those to purchase upgrades to make collecting of coins faster. Coins can either be collected by letting the game idle or by actively clicking the screen to make Cooper jump to gather higher coins that would normally be out of reach. 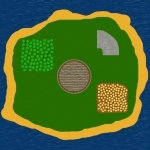 ClickerYour goal in Immense Army is to build up a huge, unstoppable army. You do this by buying buildings, which lets you recruit soldiers automatically (every second). You can upgrade the barracks to get more swordsmen. You can also upgrade the soldiers! When you are ready, you can set out for battle. Your units attack automatically, but you can also click to cause additional damage. You can adjust the tactics of your attacks to be more or less aggressive. You can also choose a predatory tactic to capture more enemies for your mine.